• Starting with the Customer brief, we identify the perfect mix of ingredients able to translate customer's directions into effective and pleasing finished products. • Proactive approach: we propose new development ideas by condensing our formulation expertise, scientific know-how and market trends. Sinerga Laboratory takes charge of all the phases of the project. It supports the customer at each stage of the development process, from the briefing to the industrial scale production, sharing with him the timing and the planning of the project. In order to grant a systematic assistance, each customer is assigned to a Project Leader inside the R&D Lab who becomes the project supervisor and the customer's handler, constantly updating him on the progress of the process. The direct relationship between the customer and the Lab ensures unequal flexibility and promptness in response. 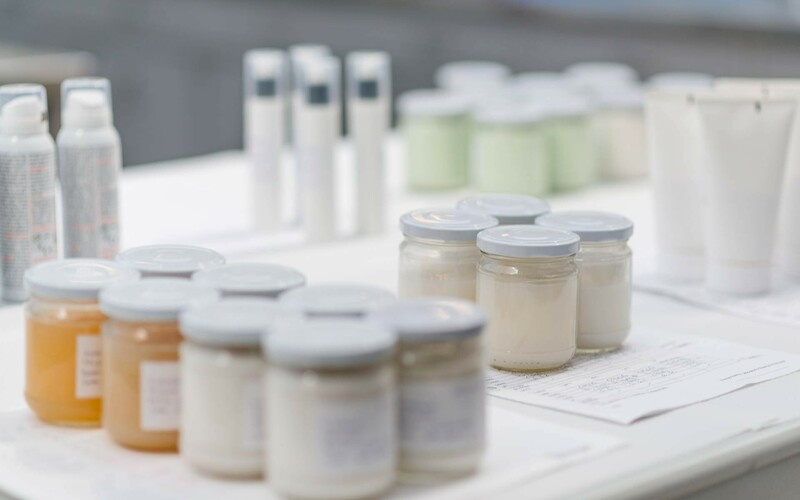 Our R&D Lab has access to a large database of raw materials: more than 1000 cosmetic ingredients selected for their innovation, efficacy and dermo-affinity. 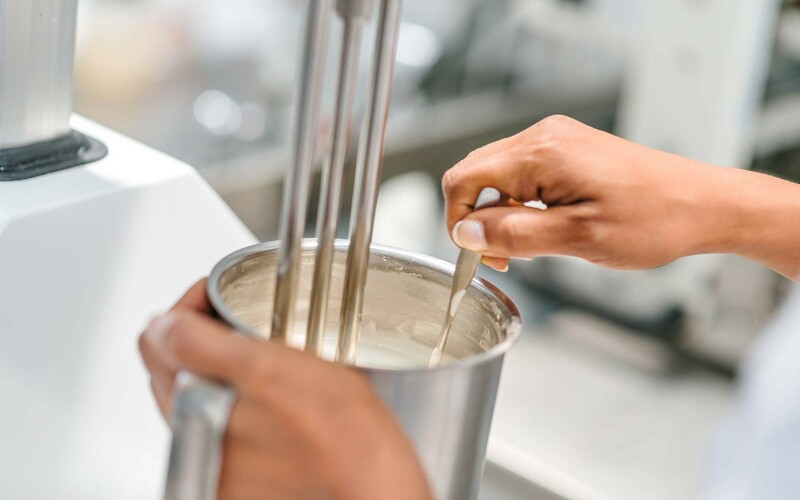 This availability allows the creation of several cosmetic forms (bigel, emulgel, lipogel, hydrogel, emulsion water/oil, emulsion oil/water, nanoemulsion, etc..) in order to satisfy the different needs of our customers. 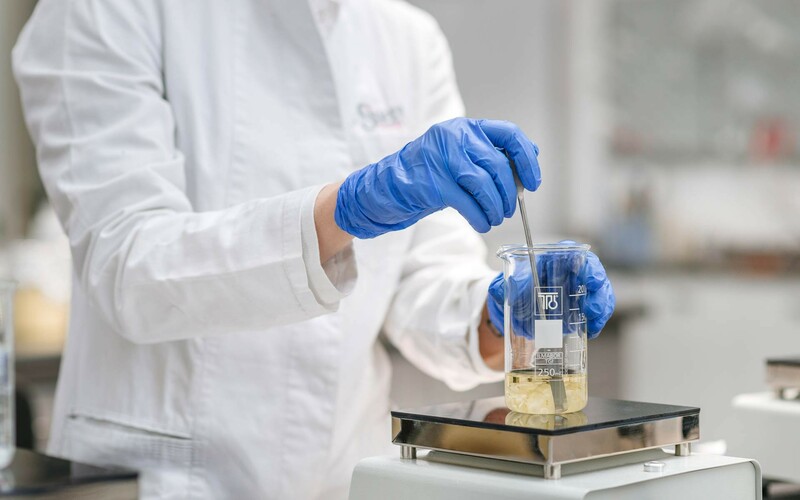 Sinerga’s know-how in the development of cosmetic ingredients enables R&D Lab to enrich its formulation expertise with chemical competences. 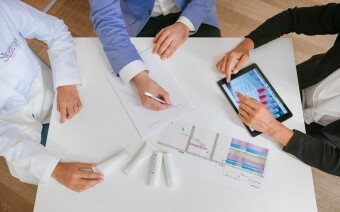 Moreover, it provides a better understanding of the world of raw materials and a consequent ability to better identify the quality of a cosmetic ingredient by evaluating the clinical supporting tests. As a consequence of this knowledge, our R&D Lab is able to formulate products by choosing only the best raw materials for its customers. Advice on the most appropriate tests (with the support of experienced dermatologists and biologists). Share protocols of clinical tests. Preparation and submission of samples. Regular updates on the progress of the test. Interpretation of the results in order to make them more understandable for customers and usable for marketing claims. Validation of the suitable preservative systems of the formulation in question, to ensure the maximum microbiological safety. Titrations of the active principles or ingredients inside the formulation.